Update Wednesday came and went this week, leaving us with about a dozen new and updated apps. Project Fi and Google Connectivity Services were added to the Play Store in preparation for Google's first MVNO customers, and new versions were rolled out to bring Quick Reply to Messenger and prepare Google+ for the wide release of Collections. 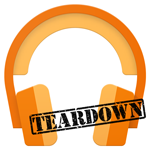 A small bump to Google Play Music also made the list, but there wasn't much in the way of visible changes. However, a look inside suggests there may soon be a new behavior when two or more devices try to use the same Chromecast at once. Imagine going to a party where a few people take turns controlling the music through a Chromecast. (I'm not sure how common this is, but let's pretend it happens all the time.) As new guests arrive, some of them will probably take turns as DJ. If you were to try this today, whoever is currently in charge of the Chromecast will be unceremoniously booted as soon as your cast begins. This is the expected behavior because Chromecast has to allow people to easily take control if the original caster goes idle or leaves the area. It makes sense, but there's room for improvement. It looks like Google is going to make the experience just a little bit better with Play Music. Some new strings suggest that anybody who tries to start a casting session with a Chromecast (or Android TV) when it is already in use by Play Music will be informed if another person is already in control. The option to take over is still available, but it's now included in a proper confirmation dialog. The first set of strings will be used when an entirely different user tries to take over, but a slightly different prompt is ready in the event that a second device with the same account tries to begin a casting session. So far, I haven't seen these prompts despite multiple tests. It's possible Google has to push a software update to Chromecast before this feature can work, or it may not even be finished yet. Be on the lookout, because this could possibly go live at any time.